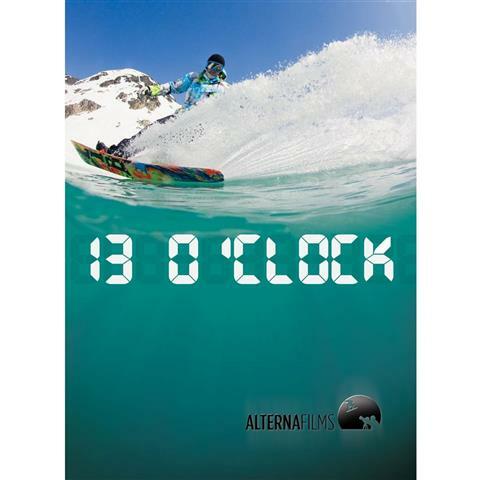 13 O’CLOCK DVD FROM THE CREW THAT DELIVERED SNOWBOARDING CLASSICS APPLES & ORANGES, KNOCKOUT, ELEKTRO AND MOST RECENTLY HELLO WORLD. THIS FILM DELIVERS INSPIRED FILMMAKING AND TECHNICAL FREESTYLE SNOWBOARDING AT A PARAMOUNT LEVEL. STAND OUT SEGMENTS INCLUDE A VISIT TO THE LAND OF THE RISING SUN, MIKE WIEGELESHELI AS WELL AS AN ICELANDIC MISSION. 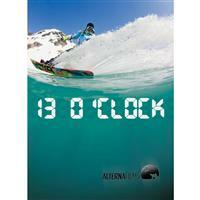 13 O’CLOCK REVEALS THE CHARACTERS AND PERSONALITIES THAT ARE THE FRAMEWORK OF THIS FILM. BE SURE TO FOLLOW THE NEW WEB SERIES ON PUSH.CATITLED“TO BE DETERMINED.” STARRING RIDERS:JESMONDDUBEAU, CHRIS RASMAN, TAKAHARUNAKAI, TADEJVALENTAN, JFFORTIN, VERA JANSSEN, CRAIG BEAULIEU, MATT BELZILE AND FRIENDS.